Travellers to London can now find their way around town using a mobile phone memory card travel guide from the AA . The AA Smart TravelGuide: London comes on a memory card. It offers users a comprehensive guide to the city, including mapping, information on points of interest and things to do, guides to restaurants and hotels with ratings, and last minute travel advice. 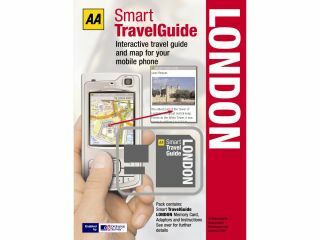 The AA Smart TravelGuide: London has been developed by the AA with Ordnance Survey for Symbian S60 smartphones, such as the Nseries from Nokia . Although it works as a standalone guide to London, the AA Smart TravelGuide: London can also be used with a GPS receiver (either external or built into the handset) to pinpoint users' locations. The AA Smart TravelGuide: London is available now for £24.99 from Stanfords and WHSmith Travel Stores, with wider availability from September. The AA has lined up a further 12 European city Smart TravelGuides plus one for New York, which will be released by spring 2008.